What if there was a way you could save both time and money so you could earn your degree faster and for less? Well, there is a way: testing out of classes. When you test out of college classes, you don’t have to take them as part of your degree program and you won’t have to pay for the class. So, how do you make this work for you? Each college has different requirements and processes, so it’s important that you talk to an adviser to find out what the best plan for you is. There are three basic ways to test out of college courses. First, talk to your admissions adviser to find out what options the school offers. At some colleges, you can take a test created by the school to test out of specific classes. Since these tests are specific to each school, the best way to find out about your options is to contact the school you want to attend. Some colleges waive some classes if a student receives a high enough score on a specific portion of the ACT or SAT test. If you have taken this test, check with your college to see if it allows this. This is one of the easiest ways to test out of classes, since this test is already required before you can enroll in many schools. 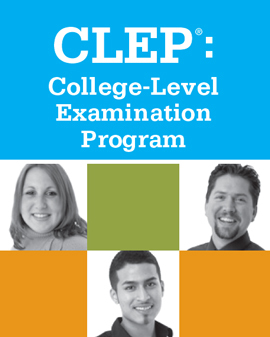 The CLEP is one of the most widely used programs by colleges that offer students credits for test scores. Almost 3,000 schools use this program, so check with the college you want to enroll in to see if it participates. There are 33 CLEP tests, so be sure to check with your adviser to find out which one you should take. When you take the test, you will be eligible to receive credits from your school based on the score you receive. There is an $80 fee to take the test, but that is much cheaper than the tuition you would have to pay to take a class. One of the biggest benefits of testing out of college classes is that you’ll graduate much faster. When you take a class, you’ll spend weeks or even months attending lectures, doing assignments, writing papers and taking tests. While this is the best way to learn information and skills, it can take up valuable time if you already know the subject well. It takes much less time to test out of a college class. In some cases you will have access to study guides to help you prepare for the test. Then, you’ll spend a few hours taking the test and you will likely receive your score in a matter of days or a few weeks. When you have received your scores, you can make an appointment with your adviser to have the classes waived and possibly even receive credits. Earning your degree faster means you’ll be ready to start your new career sooner. College can be expensive, but testing out of classes is one of the easiest ways to save money on tuition costs. You will have to pay a fee to take some tests, but that fee is much less than the cost of taking a class. Every college has different tuition rates and some charge tuition based on the number of credits you enroll in. When you test out of classes you could save hundreds or even thousands of dollars. This can make earning your degree much more affordable. Testing out of college classes is a great way to earn your degree faster and even save money on tuition expenses. To jumpstart your college career, contact an adviser to find out what the school’s testing out policy is.